From the outside, it looks simple: Terrestrial radio and Internet-based music services play the songs, the creators and performers of which are then compensated -- no matter where they play and when they were released -- and everyone in the business lives happily ever after. From the inside, not so much. In 2014, several forces have been at work disrupting what has long been the music compensation status quo in the United States, with much of the focus on righting longtime wrongs -- specifically in terms of terrestrial radio ponying up after a century-long free ride, and the dramatic disparity between how labels and artists/creators are paid for their work. When it comes to recording artists vs. songwriters and publishers, "It's a symbiotic relationship," says Atlas Music Publishing CEO Richard Stumpf. "It would be highly subjective to say who contributed more to making a song successful. The simplest thing would be to split the money evenly." With the exception of syncs (as in using music for movies, television or advertising), where the free market rules, this is easier said than done. Performance rights for songs and artists handled by ASCAP and BMI have been regulated by payout-limiting consent decrees since the 1940s. The longtime imbalance between artists and creative has come to light due to the music industry's recent negotiations on the digital radio side, with music services such as Pandora. "The record labels, on behalf of the performers, went in and negotiated very large percentages, which is great but lopsided, in that they're getting 50% of the money a Pandora will earn, where songwriters are only getting four [percent]," Stumpf says. 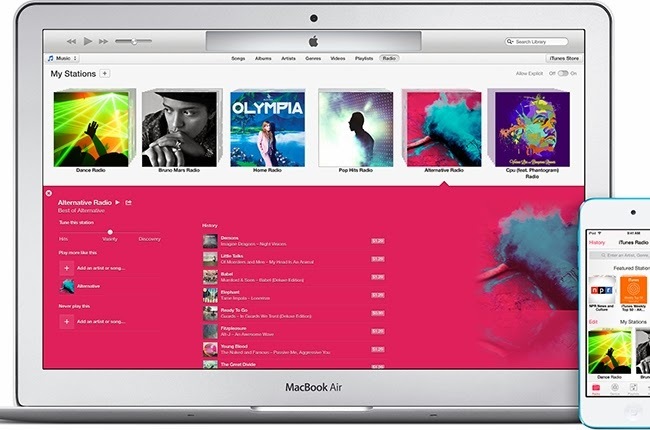 Adds National Music Publishers' Association (NMPA) president and CEO David Israelite, "On a typical iTunes download, the money that goes to music, which is about 70% of the sale price, is divided nine-to-one, [where] nine goes to the record label and artist and one to the songwriter and music publisher." "If that were some kind of a free market exercise, I think people would just accept that's the right split," Israelite says. "But because the record label is in a free market, and the music publisher is under a compulsory license with a really bad rate standard, we're going to complain about it." As the U.S. Department of Justice is currently reviewing the consent decrees, the battle for fair payment is being fought on another front, driven by record labels' negotiations with Pandora and other digital radio players. Namely, getting terrestrial radio to compensate those involved in music creation. While the radio industry seems to be moving in that direction, exemplified by the recent partnerships between major station owners and labels -- such as Clear Channel's agreement with Warner Music Group (WMG), where the radio giant is paying performance royalties to the home of stars such as Jason Derulo andColdplay -- there is clearly more work to be done. "We're one of a handful of countries [where radio's] not paying our performers," says Stumpf. "That's painful because not only are all performers not getting paid here, but overseas -- [such as in] the U.K., where they do get paid -- ours aren't receiving anything from those spins either because there's no reciprocity. We're not paying U.K. artists their money, so they're not paying it back to us. It's very damaging, and it's a huge potential revenue stream that the performance side deserves." As is the case with publishing rights, the rules date back nearly a century, across a vastly different set of circumstances. "We act like we're still in an age where radio is [all about] promotion and the only goal is to sell copies of records," says Israelite, "[where] labels invest a ton of money in promotion and music publishers can sit back and just collect their money, and digital isn't even on the playing field. That's not how it is anymore." Adds Stumpf: "In the beginning, radio basically told record labels 'listen, we're playing your songs as promotion, we're not going to pay for that.' The reality is, now that stations are making all their money on advertising, they're selling around this music. So both terrestrial and online need to be paying both performers and writers." Which begs the question, how much should everyone involved in creating music be compensated? Israelite suggests a situation where "labels and artists, and songwriters and music publishers [each] receive 4 percent of broadcast radio's revenue. For an industry whose entire business is playing music -- where Apple pays roughly 70 percent of their revenue, Pandora's paying 54 percent and Spotify between 60 and 70 percent -- paying 8 percent of revenue for that content is not a very high number." As to striking a balance between performer and publisher payout, Stumpf says, "There's a cost of goods for doing any business, so what's ours? Let the marketplace determine that. If we overcharge, radio won't play our music. I don't think it's an area where the government needs to be involved in picking out rates for us." Israelite adds, "What makes people think that you couldn't have a performance-based or mechanical-based market that played under the same rules as sync? It's already more than a third of our revenue that's unregulated, and it works just fine."